The virtual reality revolution is almost here, and YouTube wants to be ready for it. The Google-owned property is getting ready to roll out live 360-degree videos, according to Buzzfeed. This would allow users to watch live concerts and other events with a virtual reality headset or just pan around the scene with a mobile device. 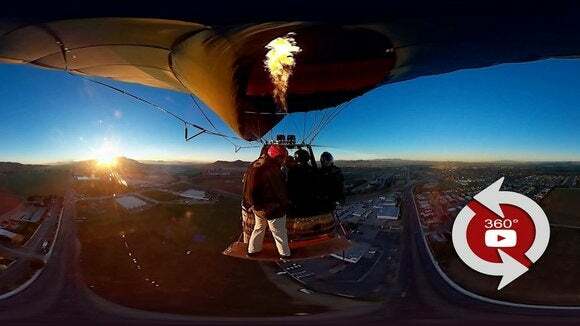 A launch date for the purported live 360-degree video service is unknown. To get ready for live streaming, YouTube has been meeting with 360-degree camera makers, Buzzfeed says. What those conversations were about, however, is unclear. As Buzzfeed points out, YouTube needs to overcome several challenges to create 360-degree video in real-time or near real-time, and conquering those could require coordination with the camera makers. 360-degree cameras are typically circular rigs carrying multiple cameras at once to capture every possible angle. Those separate camera captures are then stitched together with software after the fact to create the 360-degree experience. For live video to work, all that stitching would have to happen immediately and likely in a standardized way to help YouTube’s servers present the video properly. YouTube’s 360-degree video effort began in March 2015 when it introduced the functionality for Android devices and HTML 5-enabled browsers. Then in May, Google introduced the Jump program, a comprehensive set of hardware and software tools to create 360-degree video for YouTube. Most recently, in November, YouTube introduced Google Cardboard support via the Android app. This feature allowed users to turn any video on the site into a Cardboard-compatible app at the tap of a button. Why this matters: While YouTube’s 360-degree videos can be viewed on a mobile device, the most obvious use case for immersive videos would be virtual reality. This year, virtual reality promises to take off in a big way with the Oculus Rift headset rolling out in March, followed by the HTC Vive. Google is also getting more serious about virtual reality, with recent hints that the company wants to build its own virtual reality hardware—at least one that’s not made of cardboard.